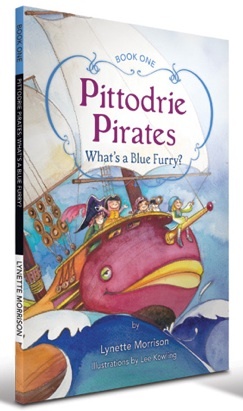 Order Now | Pittodrie Pirates! Yar! If ye would like to purchase the books, you’ve come to the right place. Click on “BUY NOW” to send an email to Ian at Armour Publishing and he will get yer books sent to ye in a jiffy, wherever in the world ye may be! Book 1 What’s a Blue Furry? The young pirates of Pittodrie love to sing, dance, play and make friends. In the first book of their travels, they sail to the mysterious Glenelg Island and meet the delightful Blue Furry and the ominous Purple Spike. But are these creatures really what they seem? Find out with your children in this new series of courage, friendship and adventure. Book 2 Ahoy, the Gold ships! 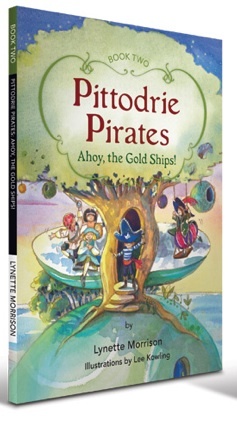 The Pittodrie Pirates return in this tale of discovery, danger and plunder. The Gold Ships have appeared once again, and any pirate that captures one will be rewarded with candy, toys and other good things. Join the pirates in their pursuit, and their encounter with a deadly Kraken! 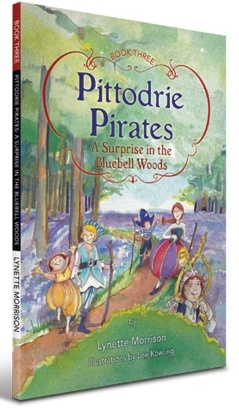 When the Pittodrie Pirates have to find a present for Farmer Callum’s surprise birthday party, they decide to get one from the fairies that live deep in the Bluebell Woods. As they wait, night falls and it gets terribly dark and scary … and they learn that something is watching them from the shadows! How will the pirates escape, and make their way to the party in time?